Q: Is actress Jennifer Aniston starting “a company named ‘Celebrities for Trump’”? A: No. Aniston supported Hillary Clinton for president in 2016. A: No. A public relations consultant said that on a Breitbart radio show. 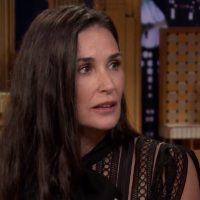 Q: Did Demi Moore say, “I do not want Trump supporters for fans”? A: No. Questionable websites have published the quote with no evidence to support it.